Jennifer is a Partner with Concentric Equity Partners. From 1989 through 1993 she served as a senior consultant for the management consulting arm of Deloitte & Touche as well as Treasurer of Prime Graphics, Inc. until founding Financial Investments Corporation (“FIC”) in 1994. As President & CEO of FIC she oversees private equity investments and the Steans family office operations. In addition to her responsibilities at CEP and FIC, Ms. Steans serves as Director of Valley National Bank, Centerline Solutions, Catastrophe Solutions International, as well as past Chairman of USAmeribancorp, Inc., a privately held Tampa Bay area middle market bank. Ms. Steans also actively helps lead a number of nonprofit entities, including serving as past Chair of Leadership Greater Chicago. 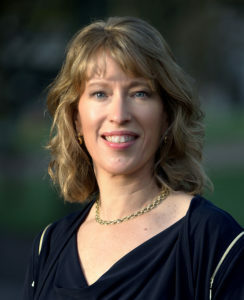 She currently serves as Chairman of Ravinia Festival. The Steans Family Foundation, IVCA, Kellogg Advisory Board, The Phoenix Pact, RUSH University Medical Center, Navy Pier and YWCA of Evanston/North Shore. Ms. Steans received a BS from Davidson College and an MBA from The Kellogg School of Management at Northwestern University. She was named as one of American Banker’s 25 Most Powerful Women in Finance for 2013. Ms. Steans currently resides in Chicago with her husband, Jim Kastenholz. They have one son, Nicholas.